Exhibit extended of Long Island activists for votes for women! Long Island women’s suffrage activists featured in an exhibit! on Vimeo. 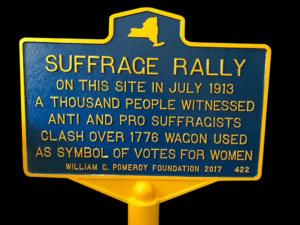 Long Island (NY)’s Suffolk County Historical Society (300 West Main Street, Riverhead, NY) has moved the exhibit of Long Island votes for women activists to a more permanent exhibit location at the Society’s headquarters in Riverhead, NY. Edna Kearns is among the suffragists included in the display. A petition of names of Long Island residents supporting the exhibition of the “Spirit of 1776” suffrage wagon was sent to the state museum and governor’s office earlier in 2018. A thank you to everyone who signed. Head Librarian Wendy Polhemus-Annibell said that the suffrage exhibit proved to be popular with area residents and students. 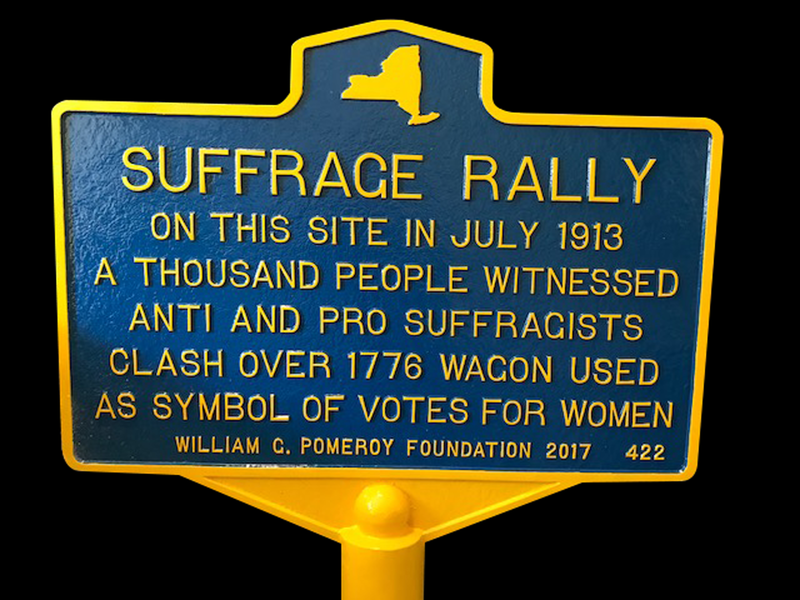 If you are in Long Island, visit the main street in Huntington, NY to see the historical marker commemorating Edna Kearns’ “Spirit of 1776” wagon that caused controversy there in 1913. 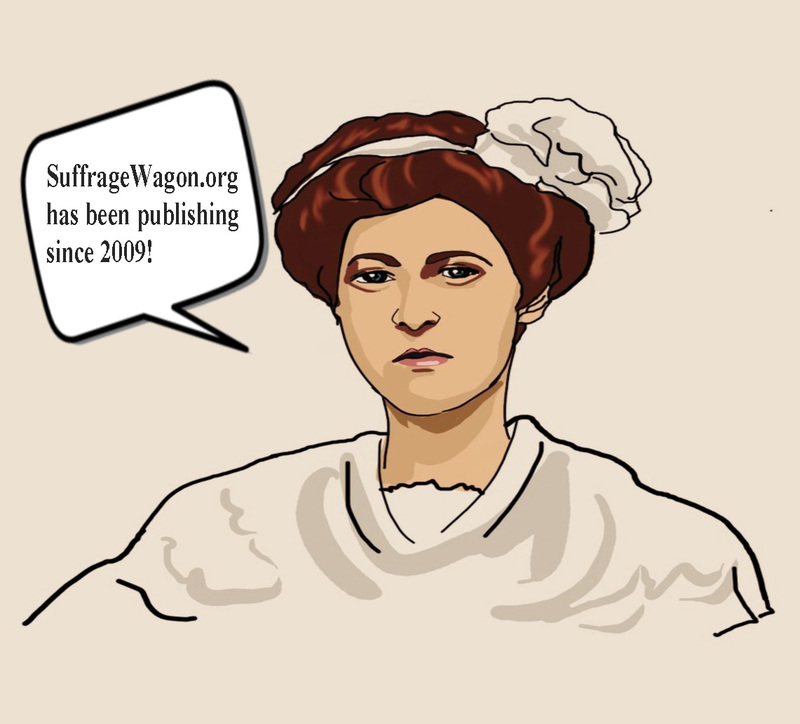 Follow Suffrage Wagon News Channel that has been publishing since 2009. National Voter Registration Day in September! Plus update on tea action campaign!